Should you elect to sell retail, you will engage a real estate agent to represent you. There are a number of advantages to this. The realtor is a professional, who probably knows your area. The realtor represents you, and will hopefully work very hard to sell your home. You will list (and hopefully sell) the property at the highest gross price possible. To get the best price, you may need to put your hard earned cash into your property to make it attractive to potential buyers. You will need to pay the realtor a 6% commission for making the sale. If the realtor suggests further marketing efforts, those will also be at your expense. You will need to wait for an acceptable offer to come in. That may take more time than you have. Once you have accepted an offer, the buyer must qualify for a mortgage, which is not guaranteed. If the buyer cannot qualify, you are back to square one. Once qualified, a further inspection may be required, and if something fails the inspection, it is up to you to fix it before the sale can be closed. In addition to the costs of fixing your property up, and paying the realtor, you must also pay closing costs, which are around 2%. If you still own your home at the end of the year, there will be yet another tax bill to pay. After you subtract all your costs from the gross sale price, you may be unhappy with the net price you receive. The wholesale market operates differently from the retail market. In wholesale, you do not hire a realtor. You deal directly with a professional buyer. There are advantages, as well as disadvantages to selling wholesale, too. The major disadvantage to selling wholesale is that the price agreed upon between you and the buyer will be less than the gross listing price you and your realtor would set in the retail market. You will pay no commissions. To anyone. The wholesale buyer will buy your home as-is. You will not need to put any money into the property at all. You will not need to list on MLS, or any other website. Your sale will happen immediately, or on your time frame. No waiting. There are no closing costs. All will be paid by the wholesale buyer. You will have no more tax bills due on this property. 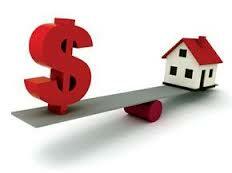 The wholesale buyer will pay cash, so you will not worry about mortgage qualification. Plus you will have the advantage of making the sale NOW. How much is that worth to you?